India is THE Sourcing opportunity of this decade. 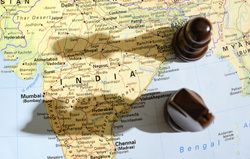 Cast Strategies is uniquely qualified to help you understand India, to evaluate your sourcing opportunities and challenges, and to provide the “boots on the ground” to assure your requirements are met, in-spec, and on time, every time. We can manage all aspects of your sourcing requirements, or, we can work on your behalf to manage requirements at your suppliers in India.